From the launch of Cobo Wallet LBTC Super Node on 18th April 2018, we have forged over 1,516,071 blocks and generated almost 95,000 LBTCs ($926,000) for our users. Cobo Wallet is one of the world’s first crypto wallet to offer LBTC rewards. In the beginning, the annual return was more than 200%. With more nodes joining the network, more votes were distributed, the annual return per node has decreased. Currently, the rate of return is around 120% per year, still extremely high when compared to other coins. Let’s briefly recap what LBTC is. LBTC (Lightning Bitcoin) is a fork of Bitcoin. Core members of the LBTC team are from BTC, DASH, and XRP communities. The founder of LBTC is also the investor for NEO and IOTA. LBTC’s block interval is 3 seconds and it can support over 1,000 transactions per second. In the future, the speed can be increased to 1,000,000 transactions per second, a pace even faster than VISA. Lightning Bitcoin uses Delegated Proof of Stake (DPoS) consensus mechanism, which allows LBTC holders to choose 101 lightning nodes that would be in charge of validating transactions and maintain the network and in return get rewarded in forged LBTCs. Forging one block generates rewards of about 0.0625 LBTC. A Lightning node can decide how much it wants to distribute to voters. Cobo Lightning node gives 90% of the earned rewards to voters. It only retains 10% management fee for server and operation expenses. For Cobo LBTC reward wallet users (not voters), if you put LBTC in the reward wallet you will receive 95% of rewards our Lightning node earns (also based on the number of votes the node receive). Cobo only charges 5% management fee. Recently LBTC has announced a network upgrade along with a new rule, requiring at least 5,000 LBTC to become a Lightning node. 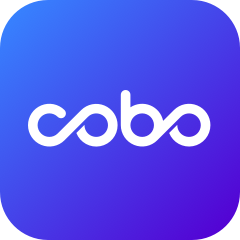 To accommodate this network upgrade, Cobo Wallet will suspend users from withdrawing LBTC from the reward wallet from 14:00 (UTC+8) of 7th August. Users can continue depositing LBTC to the reward wallet until 18:00 (UTC+8) of 8th August. Users who deposit LBTC to the reward wallet before 18:00 (UTC+8) of 8th August will get 100% of the rewards for 7 days. During these 7 days, after the LBTC upgrade is complete and Cobo Lighting node start working, Cobo will not charge any management fees to users. After the 7 days, users will be subject to 5% management fee and get 95% of the Lightning node rewards. Please note that the rewards rate of the LBTC wallet will fluctuate as the number of Lightning nodes’ votes changes.